All PDP Drums/Hardware comes with a 1 year limited warranty offered by DW. The PDP Centerstage Drum Kit is the entry level offering from PDP Drums. 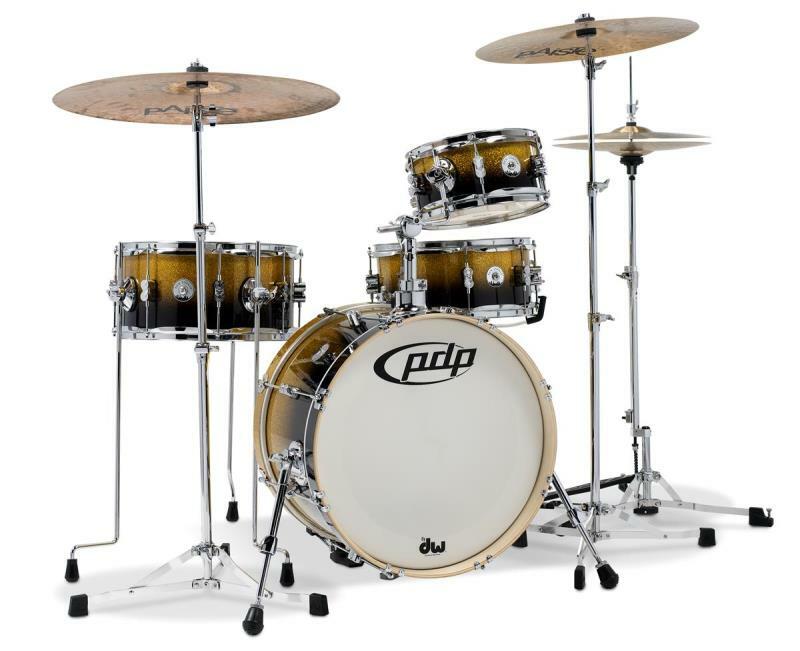 These drums comes with DW True-Pitch Tension Rods, Poplar Shells, Similar Hardware to the PDP 700 Series, Hand Hammered Cymbals and comes with 1 year warranty. With an upgrade of drumheads and proper tuning, you can get this kit to sound like a kit twice its price. Optional Add Ons : Paiste 101 Cymbal Set - 13" Hats, 16" Crash, 20" Ride. Sizes : 22x18, 10x8, 12x9, 16x14, 14x5. Created nearly a decade ago as a portable DW Custom Shop kit, the New Yorker’s compact configuration is now available as a stylish, yet price-conscious kit for the student or working drummer. Warm tones come courtesy of an all poplar shell and a low mass "Teardrop" Mini Turret Lug make it a lightweight and travel-friendly. 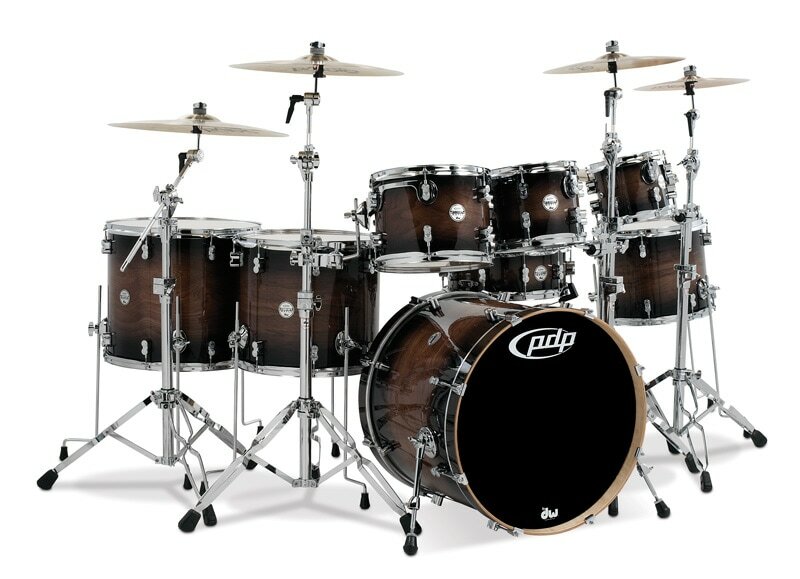 Other features include DW True-Pitch tension rods, Remo heads, full-sized bass drum mount with auxiliary clamp and more. The New Yorker can be purchased as an stand alone Shell Pack or with Hardware. The genre-bending drummer has lent his name to a kit as versatile as his resume. Designed to be gig-friendly and fun to play, the 4-piece DJNY rig is paired with DW Ultralight hardware and includes cases for everything. A combination of hybrid poplar/maple shell and “short stack” dimensions makes the kit sound remarkably big and warm for its diminutive size. Its striking appearance comes courtesy of a large-flake Gold-to-Black Sparkle Fade lacquer finish. Hardware ; DW 6000 Ultralight Hi Hat Stand, DW 6000 Ultralight Straight Cymbal Stand x2, DW 6000 Ultralight Hi Hat Stand, free PDP 300 Pedal. Finishes : Pearlescent Black, Red to Black Fade, Natural, Pearlescent White, Silver to Black Fade. Bundled with Double Braced Hardware - 1 Snare Stand, 1 Boom Cymbal Stand, 1 Straight Cymbal Stand, 1 Pedal, 1 Hi Hat Stand. Comes with a free stool as an additional bonus. With retro looks and a warm vintage-style sound, the Concept Series™ Classic Wood Hoop kit is sure to turn heads. 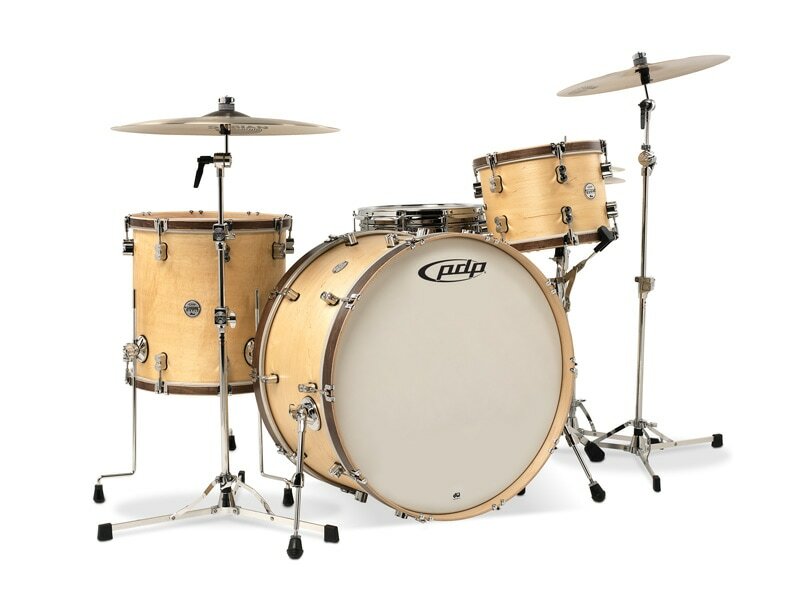 As part of the Concept Maple line, it features all-maple shells and counterhoops in two distinct, matte-finished themes. Recessed stamped claw hooks retain the plied maple hoops and add to the classic appeal. Offered without a snare drum in these old school sizes: 8x12", 9x13", 16x16", and 16x18" toms and 16x22", 14x24", and 14x26" bass drums.